July 4th is just two days away! Do you have any ideas for July 4th Desserts? Desserts are my most favorite thing to make and I have found 50 I want to try for the 4th. Seriously, some of these desserts are ingenious. Some are so easy. Some are a tad bit difficult, but I still want to try them all. 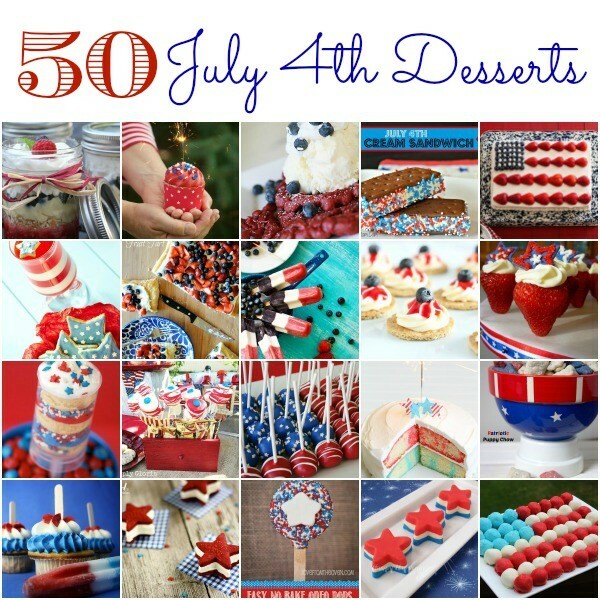 While I narrow down my choices for a July 4th Dessert I’m going to make, have fun browsing through these 50 ideas. If you have any July 4th Desserts you would like to share, please do so in the comments and I’ll add them to the bottom of this post. What a great collection of 4th of July treats! Thank you for including my marshmallow pops! You’re welcome Gloria! Thank you for stopping by.